Surprisingly had it for 2 years, lot of racing, lot of dumb **** was done lol. I can't believe I got 0 tickets with it. I was reading over your build thread the other day and might have to come pick your brain since you've added so many features. Loving the look! I plan to go with the same front setup with the Lariat grill and morimotos later this year. Great to see how it is going to look before spending the money lol so thanks. Welp accidentally splurged more, hopefully GF doesn't strangle me. Ordered Katzkins and also if all goes well I will be ordering a cluster from Livnitup later this week. 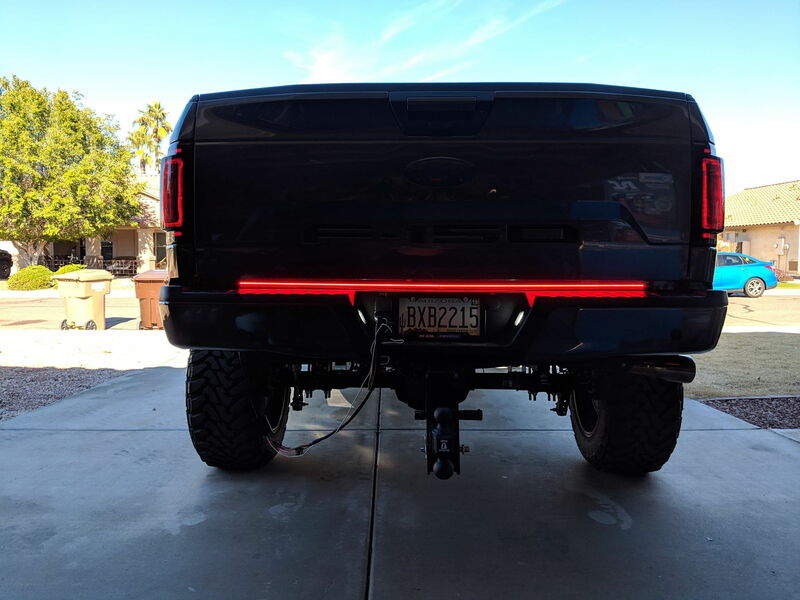 Also since I am off today, decided to go outside and pull tailgate to do my LED bar, I just have to wait for Ryan B to finish up my new tail harness before it's fully functional. 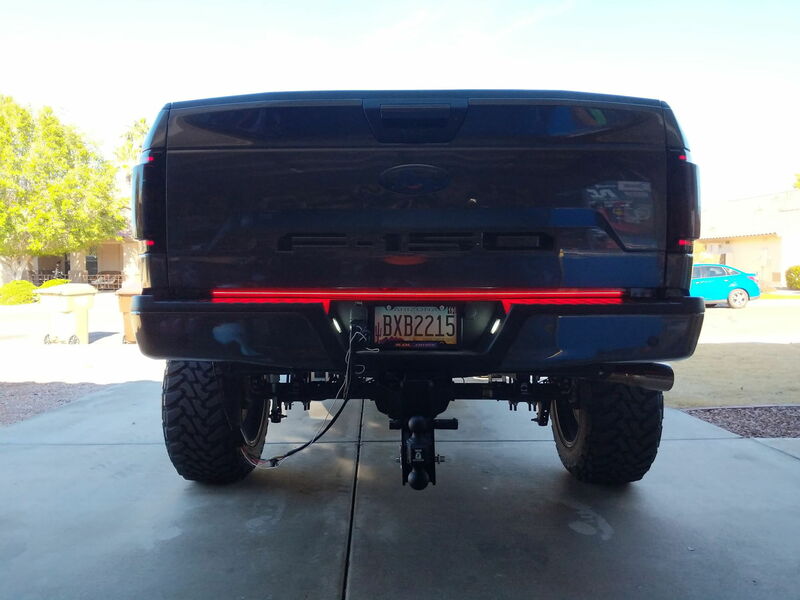 But I did plug it in for some pics, and looks sick with the amber tails. Putco's LED bar is really bright, and fantastic quality. If anyone is wondering the PN for the amber is 92009-60 for the 60 inch one. The one specific for 2015+ f150s is a different model number so I'm going to have to hardwire it in to get it fully functional without saying a trailer is connected. How have you liked the RC coil overs? 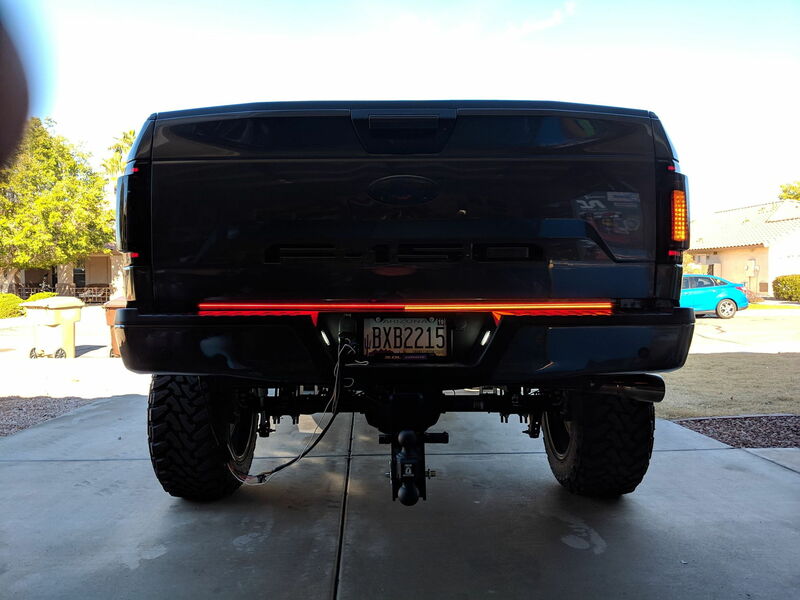 I am looking at an 18 F150 and I keep going back and forth between these and a BDS/Fox coil over. Honestly I love them, The ride quality is AMAZING for what they are. My buddy is on a Fox setup and I prefer mine more. his setup isn't fully adjustable though, where as mine is. I also like how RC has a 3 year warranty on the vertex setup's, where as fox only has 1 year on their stuff. Awesome thanks! I'll keep that in mind when shopping! Extremely nice build you got there. Love the rims. Very nice choice. Looks great!! Love those rims. I’ve also got a Mag Grey xlt and want to change some things. Where did you get the badges done? Did you just buy new ones outright, or have yours taken off and painted? How much were they? I really want to go woth mag grey and gloss black.